The smile is one of the key factors of a first impression. When smiling, if you notice a disproportion between your teeth and gums or an excessive amount of gum showing, then you may be a good candidate for a gum lift. By reshaping your gums, Dr. McCullom can allow for more of your teeth to show and less of your gums, providing an aesthetically balanced smile. 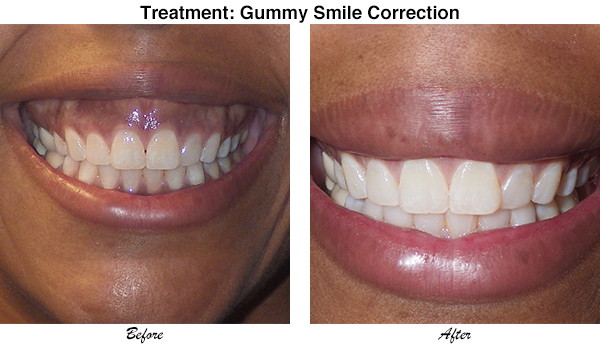 Depending on your smile and preferences, a gum lift can be performed using a soft tissue laser or by a more traditional, surgical approach. Contact us to schedule a consultation with Dr. McCullom. 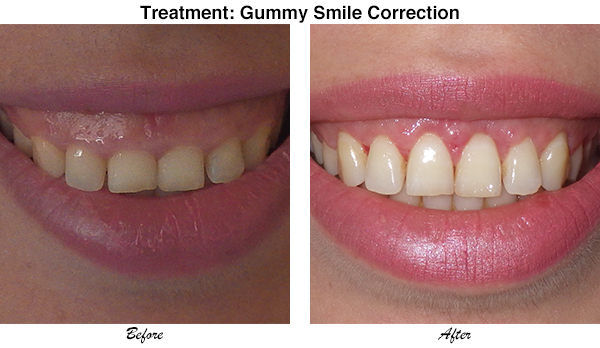 During your consultation, we will be able to discuss with you your best options for treating a ‘gummy smile’ and improving your appearance.